The 2019 KTM DS (Diaphragm Steel) clutch is lighter and doesn’t have the cush hub-style rubber bumpers that the DDS clutch has. The 2019 KTM DDS (Damped Diaphragm Steel) clutch comes on the 450SXF and the 250SX two-stroke—it is designed to absorb more power. I noticed that the 2019 KTMs come with something called a DS clutch, but my 2017 450SXF has a DDS clutch. Is it the same clutch or is it different? If we are just talking about the KTM 450SXF, it is the same. The 2019 450SXF will come with the Damped Diaphragm Steel (DDS) clutch that has been a staple on both the KTM 450SXF and 250SX for the last five years. The stock KTM 450SXF DDS clutch is a brilliant design. Not only is it hydraulically controlled, but the clutch basket is milled (with the primary gear machined in as one piece) from billet steel. This means that you will never need to replace the stock clutch basket. It will never notch or suffer from excessive wear on the tangs. Additionally, the 2019 450SXF diaphragm clutch is controlled by a 295 N/m Belleville washer. Unlike the six separate coil springs used on most bikes, the large-diameter Belleville washer applies pressure to the clutch pack evenly around its circumference. The KTM DDS clutch incorporates rubber bumpers into the basket/inner-hub interface to take the jolt out of aggressive clutch use and gear changes. Without a doubt, the KTM 450SXF DDS clutch is a durable, long-lasting and self-adjusting clutch. The only other KTM to use the DDS clutch is the 250SX two-stroke. As a rule, the MXA test crew changes the cush-hub rubber bumpers in our DDS clutch every four months. These rubber bumpers take the shock loads out of the clutch when the rear wheel is jolted in whoops, in jump landings or by errant shifts. Unlike most clutches, the DDS clutch starts and stops with two extra metal plates against the inner hub and pressure plate itself. The outermost and innermost steel plates are thinner than the metal plates that go in the center of the pack. Pay attention to this detail. What is new at KTM for 2019 is the Diaphragm Steel (DS) clutch on the 125SX, 150SX, 250SXF and 350SXF. Overall, it is the exact same clutch as used on the 450SXF and 250SX, minus the rubber bumpers. 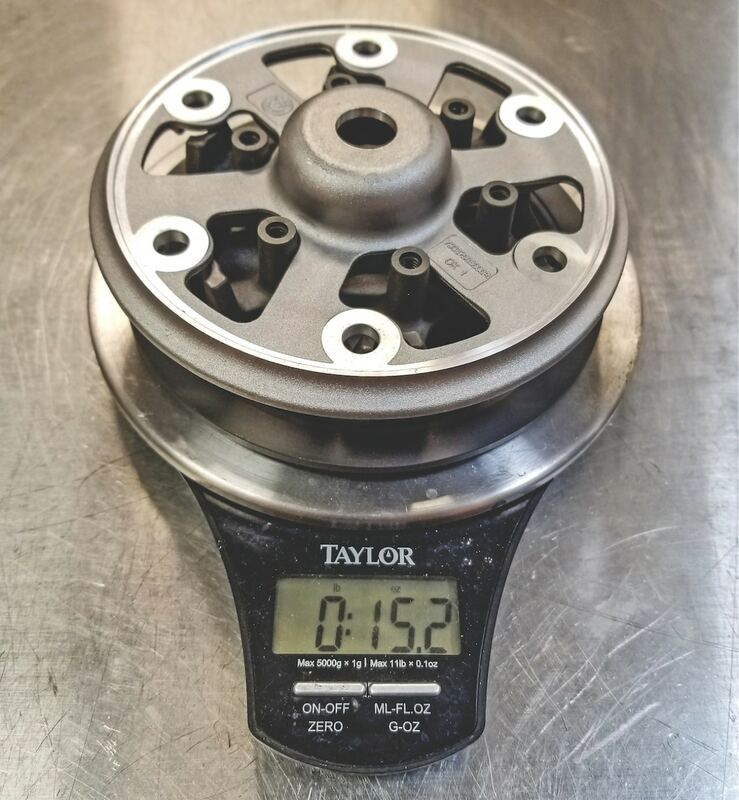 It has a steel basket (with the primary gear machined on to the back of it), a Belleville washer clutch spring (instead of the 2018 and earlier coil springs), and it uses the inner and outer metal plates against the inner hub and pressure plate. As a final point, the DS clutch has fewer roller pins than the DDS clutch. The obvious question is, why doesn’t it use the rubber bumpers? 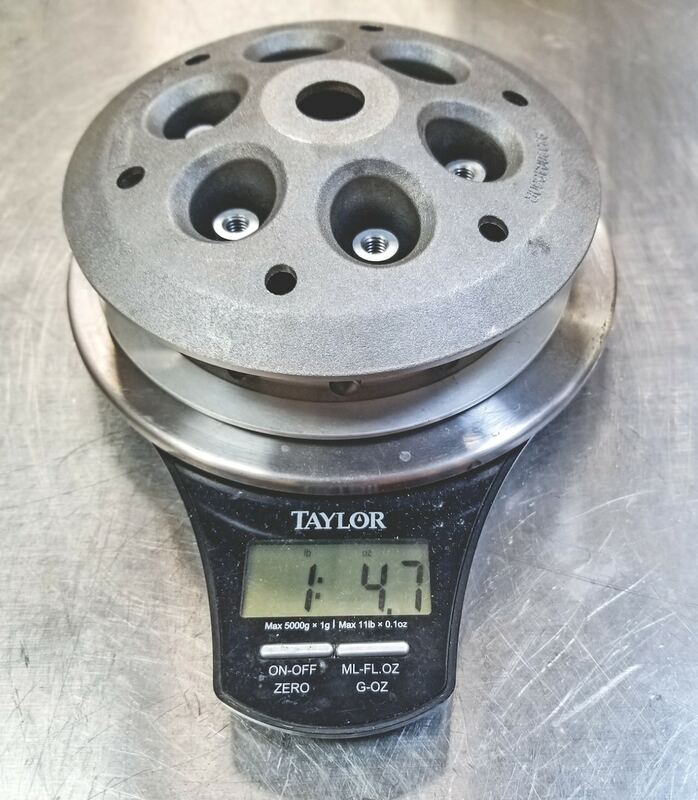 (1) The coil clutches on the 2018 125SX, 150SX, 250SXF and 350SXF did not have rubber bumpers and have proved to be reliable without the cush-hub inside the clutch. Plus, KTM tested the DS clutch during the Supercross series on one of the Troy Lee Designs’ team bikes and it worked fine. (2) The structure for the bumpers themselves adds additional weight to the clutch, which the 450SXF and 250SX can handle but would be detrimental to the 125SX, 150SX, 250SXF and 350SXF.